Thank you to the generous donors who have already contributed to the 2015 Book Fund and pushed us toward our goal of $5,000. This year's Book Fund donations will be used to purchase picture books and materials to support the library's participation in the "1,000 Books Before Kindergarten" program. 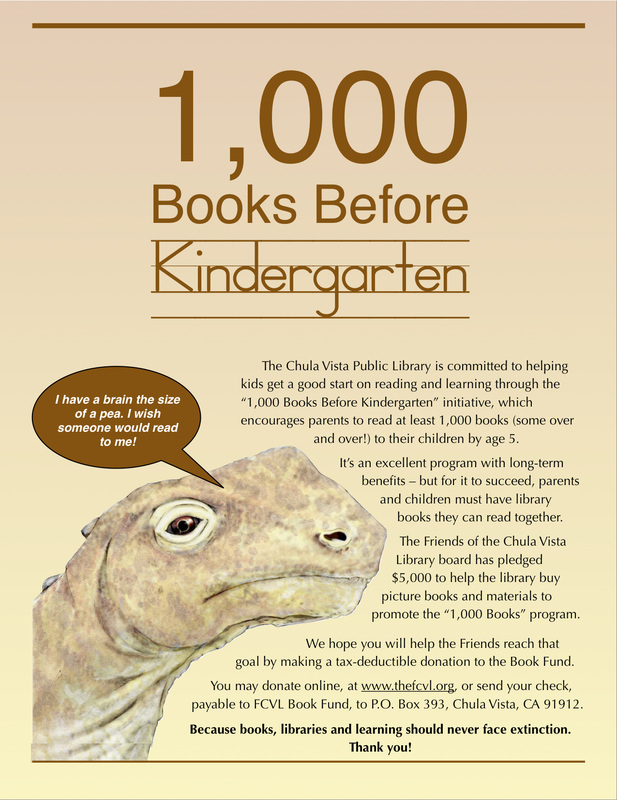 Altrusa Club of Chula Vista, Inc.
Click here to read about the 2014 Book Fund.